With the growing interest in lace of all kinds, New Tatting is a fantastic book for getting started in this craft. Offering incredible step-by-step photos and beautiful projects, New Tatting explores modern color schemes and a fresh approach to tatting projects; it will appeal to people who have never tatted before as well as tatters looking for something new and interesting. 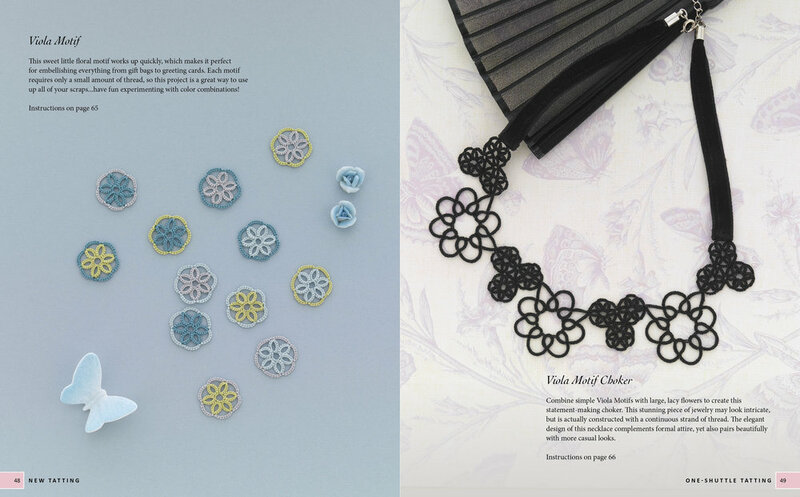 If you are interested in lace, you'll find New Tatting is your go-to book offering everything you need to get started.